Like her page, send a note or donate! Meet Kiersten Yow, the courageous NC girl who survived the shark attack I posted earlier this week – great news, she is sharing a big smile on news clip, what a trooper! CHAPEL HILL, NC (WECT) – Kiersten Yow’s life was forever changed after being bitten by a shark in waist deep water in Oak Island on June 14, but that hasn’t kept the 12-year-old down. Days after the terrifying ordeal, Kiersten’s family created a support page on Facebook, and people from around the country have been showing their support and admiration for this brave young girl. Kiersten’s parents have been updating the page with her latest condition and progress. On Sunday, exactly one week after the incident, Kiersten walked the halls of the hospital for the first time! The family updated the support facebook page Tuesday night to say Kiersten will be having surgery Wednesday on both her arm and leg. When Kiersten isn’t going through therapy, she’s still able to enjoy things any preteen would – like playing the Wii, challenging others in board games, watching TV and playing on her iPod. 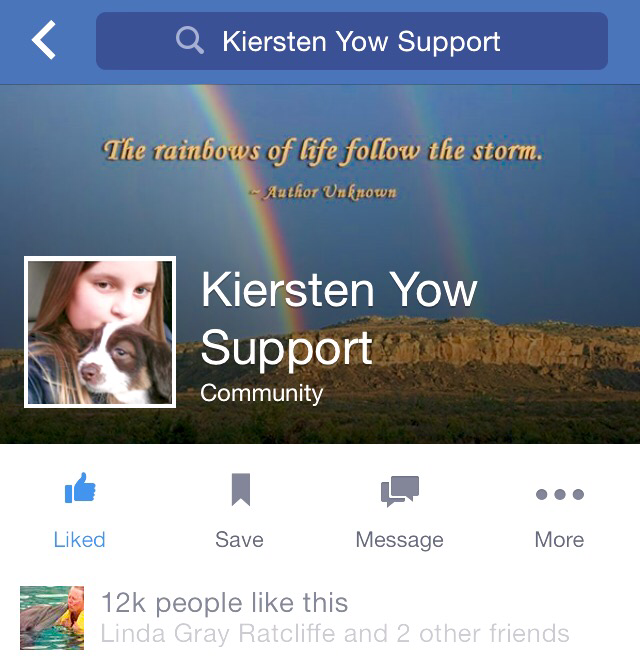 Mobile users can view photos of Kiersten’s recovery here. Get well wishes and prayers going your way Kiersten! ← Will The Fear Of Recent Shark Attacks At Oak Island, N.C., Keep You On The Shore?